Sign up to our regular newsletter via the website, keep up to date with all that we are doing, and have the chance to win vouchers or prizes by entering our frequent prize draws. 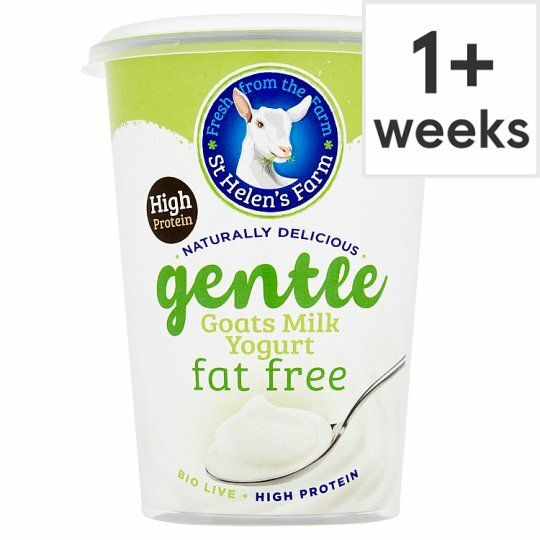 It takes two litres of fresh, pasteurised skimmed goats' milk to make one litre of our live goats' milk Fat Free Yogurt, which has 55% fewer calories than our original natural goats' milk yogurt. Made with live cultures; Lactobacillius bulgaricus, Streptococcus thermophilus, Lactobacillus acidophilus and Bifidobacterium. Made with 100% British goats' milk from Red Tractor assured farms. Our farm is in the Vale of York, where we grow some of the feed for the goats that we keep on the farm. A nutritious, high fiber diet keeps them in the best of health and provides us with a plentiful supply of top quality, mild goats' milk. We also bring in milk from other family farms in Yorkshire and The Midlands which we then process in our modern dairy to produce our range of goat's milk products. Have you tried our range? We also make delicious fresh goats' milk, natural and flavoured yogurts, creamy butter, a range of cheeses and luxurious ice creams.